Email marketing is inexpensive and effective way for marketers to keep customers informed about a business or organization. Getting people to sign up for the email is only half the battle. Consumers get a lot of email messages, so getting people to open an email, read the entire contents, and click on the links is an even greater challenge. A recent study from Constant Contact gives business owners and marketers some good tips on how to increase engagement with email marketing messages. Constant Contact, the makers of an email marketing platform, analyzed more than 2.1 million Constant Contact customer emails sent to audiences of more than 100 recipients over the course of 3 months. 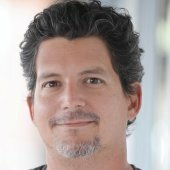 The researchers may some surprising discoveries about the way images and text affect the click through rate on an email marketing message. Though there are some industry-specific exceptions, the study found that generally, emails with three or fewer images and approximately 20 lines of text result in the highest click-through rates from email subscribers. The researchers noted that for most retail businesses, there is a very small window that determines the optimal amount of text for better click-through rates. According to the study, click-through rates improve over 50 percent between emails with 17 lines of text and 19 lines of text. However, click-through rates then drop by 50 percent among emails between 19 lines of text and 21 lines of text. The study supports the idea that with modern consumers, less can be more. The way people consume email messages is different from the way they consumed newsletters in the past. Many people are looking at emails on mobile devices, so messages that take a long time to read or scroll through will get less attention. By using three eye catching images and 20 lines of texts that tempts people to click, marketers can get more engagement from their email messages. Non-profit organizations or association with memberships were able to use more text in their emails without it having an adverse effect on click through rates. Religious organizations saw little fluctuation in click-through rates based on the number of images. Businesses with a visually stimulating catalog of products should include a lot of images in their emails. 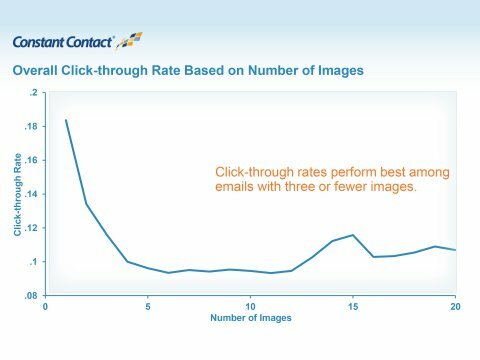 The researchers noted that business product and services companies see the highest click-through rates in emails with between 13 and 16 images. Come industries require more text in order for the information to be useful. Real estate agents and services see the highest click-through rates at around 35 lines of text. The study shows why it’s important for business owners to experiment with their email audience to see what works best for them. For some more tips that business owners can use to improve their email marketing efforts, read this article on a study that shows the benefit of combining social and email marketing efforts.